Fast, efficient hot water is just one purchase away. Whether you are a new homeowner or looking to replace your old water heater, consider an electric water heater. There’s plenty of reasons to switch to electric or to upgrade your old electric water heater. However, many homeowners struggle to find the most cost-effective and energy-efficient option. It can be tricky to compare and contrast the hundreds of options available, so use this complete list of the best 10 electric water heater of 2018. 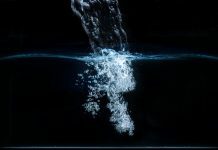 Use the FAQ list to discover the best electric water option for your home and your family. 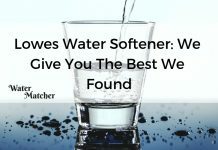 Compare and contrast the different water heaters using this handy guide, and choose for yourself the most effective model on the market. Choosing the best electric water heater has never been easier. If you are looking for a new water heater, it may be tricky to determine which type is best for your home. Water heaters can either come with a holding tank or be tankless. Each one is designed for specific homes in mind. 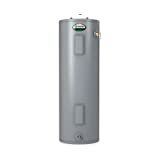 Most homes with large families use a water heater with a storage tank. These water heaters hold a large amount of hot water, between 20 and 55 gallons. This allows you to have more hot water for a longer period of time, and you have access to more hot water at once. It’s the best choice if you want to run multiple faucets and/or showers at the same time. A storage tank water heater is rated not only by the amount of hot water it can hold, but by the FHR, or first hour rating. Your energy costs will be slightly higher with a storage tank water heater, but you won’t have to worry about multiple bathrooms being used at once. Tankless water heaters are the most energy-efficient design. These water heaters heat the water on demand, so it doesn’t waste energy keeping water hot. However, most electric tankless water heaters only have a gallon per minute, or GPM, rating of 3.5 or lower. This means you’ll only be able to use one appliance or faucet at a time. Each electric water heater was chosen based on customer reviews, professional ratings and best-selling lists. There are a range of prices and options available, so consider your own needs before choosing the best electric water heater. There are an incredible variety of electric water heaters on the market, so it can be difficult to narrow down a price range. Depending on your hot water needs, you can pay as much as $1,299.00 or as little as $199.31. Inexpensive water heaters provide a single faucet with on-demand hot water. They are cost-effective and energy-efficient, but aren’t convenient for your whole house, particularly large families. 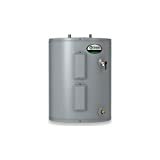 Premium water heaters combine energy efficiency with a large storage tank. These water heaters not only keep a high volume of water hot and ready to use, they also replenish the storage tank quickly. A high-quality water heater can provide constant hot water for long, hot showers and multiple appliances. Compact and efficient, the Sio Green IR260 is an excellent choice for a single faucet, RV or other small use. It’s one of the most inexpensive water heaters, so it’s perfect for light use. The heating element is uniquely designed and doesn’t corrode like traditional heating elements. Choose one of four power levels to keep the IR260 running at maximum efficiency. 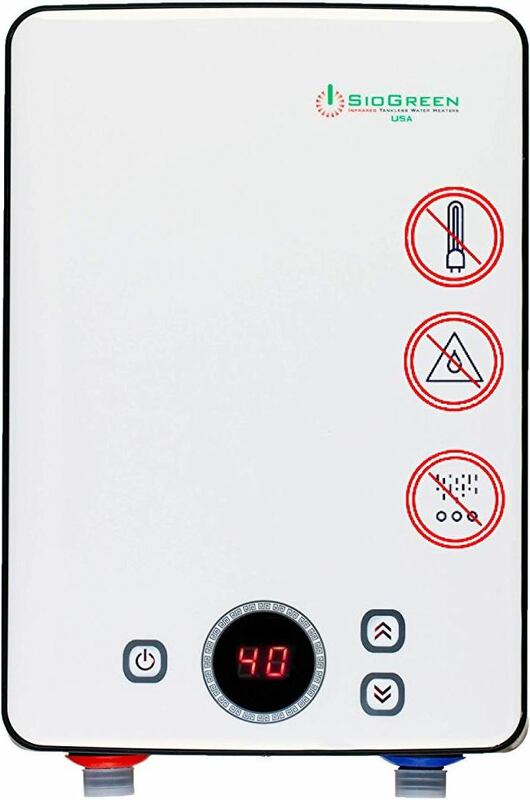 Depending on the area and water temperature, this tankless water heater will provide between 0.5 and 1.5 GPM. This makes it perfect for a sink or a bathtub in warmer climates. However, this water heater only comes with a two-year warranty. It’s also not usable for your entire house. 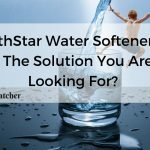 Choose this water heater if you need to supplement your water heating needs. 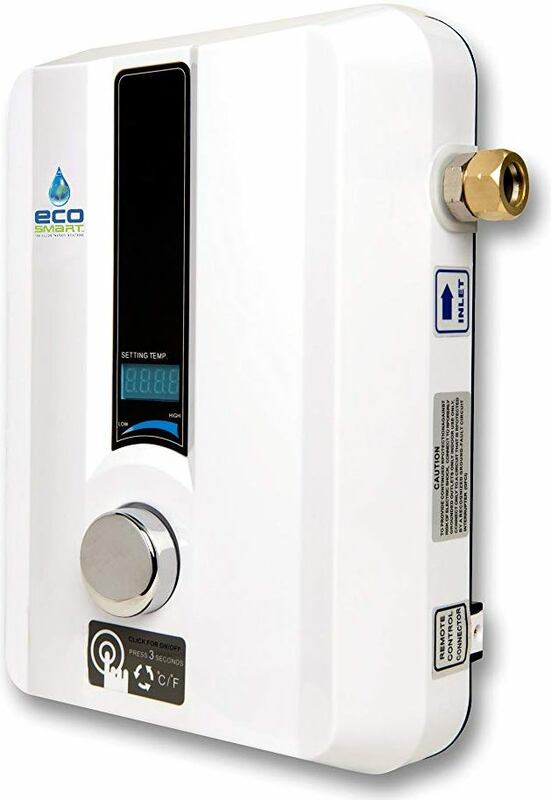 Another great single-use water heater, the EcoSmart ECO 11, is more affordable and offers more gallons per minute. Depending on the water temperature, you’ll enjoy 1.1 to 2.68 gallons per minute. In warmer climates, this unit will handle up to two sinks at once. The EcoSmart ECO 11 doesn’t use the same infrared technology as the Sio Green IR260, so you’ll need to replace the heating element during its lifetime. You’ll enjoy a lifetime warranty on the rest of the heater, however. It’s easily adjustable with a large knob and digital screen. Just like the Sio Green IR260, this water heater isn’t capable of supporting an entire home. 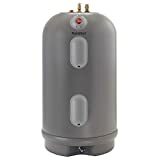 Small but mighty, the American Water Heater is a small-tank water heater that combines the features of a storage tank and tankless water heater. It’s still small for an entire household, but is a great supplemental water heater. It has a gallon-per-hour recovery rate of seven gallons, which makes it more effective than the EcoSmart ECO 11. You’ll enjoy a five-year warranty on this tiny tank, and it’s still small enough to store in a cabinet. Most customers love the efficiency and compact size of this water heater. However, other customers feel this water heater doesn’t last very long. Many customers have replaced their water heater after just a few years of use. 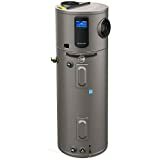 Choose this water heater if you are in a cooler environment and need more GPM support than the Sio Green or EcoSmart water heaters. 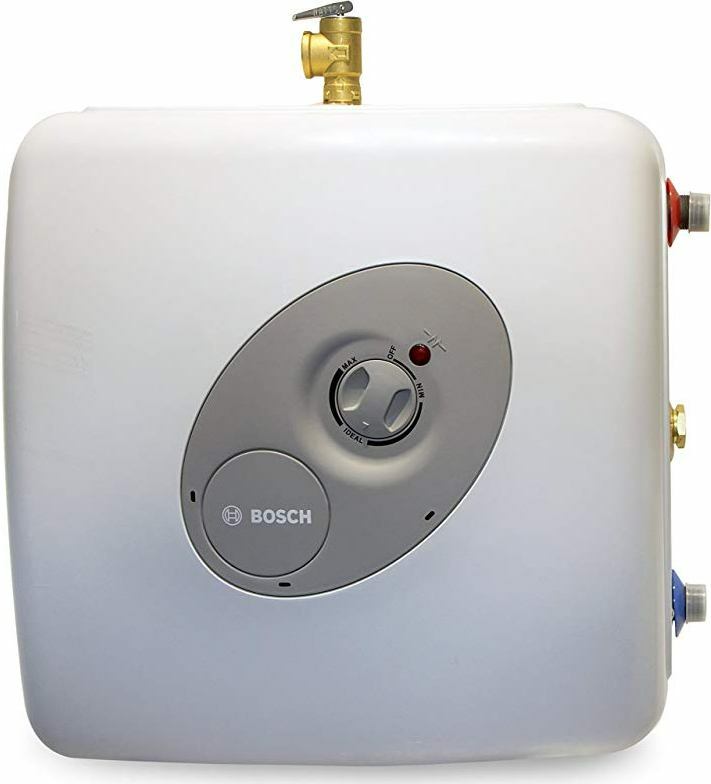 As the most affordable electric water heater, the Bosch Tronic 3000 uses a seven-gallon tank to heat water comfortably for a single faucet. It’s larger than the American Water Heater, but is more affordable. It also comes with a six-year warranty, which is longer than many more expensive water heaters. However, this unit only has a refill rate of 6.8 gallons per hour. That means it will refill slightly slower than the American Water Heater 2.5-gallon heater. Customers love how effective and compact this unit is, and it’s capable of being installed on the floor, wall, crawlspace or in a cabinet. The thermostat isn’t digital, so it’s difficult to get a precise temperature on it. Large and efficient, the 52-gallon Westinghouse water heater holds an impressive amount of hot water for use in your entire home. It can easily provide five people with plenty of hot water and can support multiple appliances and fixtures at once. Because it’s a storage tank water heater, it won’t be as energy efficient as tankless options. This storage tank water heater uses 4500 watts to provide 66 gallons in the first hour. 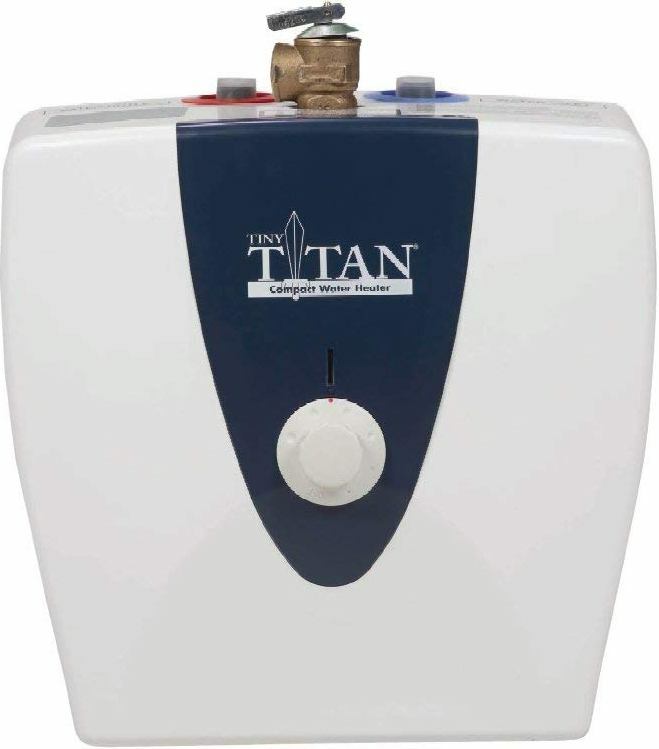 This makes it one of the most effective water heaters on the list in terms of sheer hot water volume. However, it isn’t a hybrid model like the Rheem Performance Platinum water heater, so it isn’t as energy efficient. If you have a smaller family, it won’t be as cost effective as other, smaller water heaters. 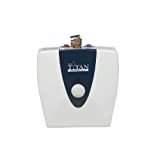 While this water heater doesn’t offer many bells or whistles, it remains a best-selling water heater with a 50-gallon storage tank and innovative diffusion technology. The PEX lines are designed to avoid buildup of sediment and lime. It’s also a very reasonably priced water heater compared to other larger water heaters. The gallon per hour rate is only 25.3, so it won’t be as effective over a longer period of time. Thankfully, the nine-year warranty will keep your water heater running for longer than other water heaters. 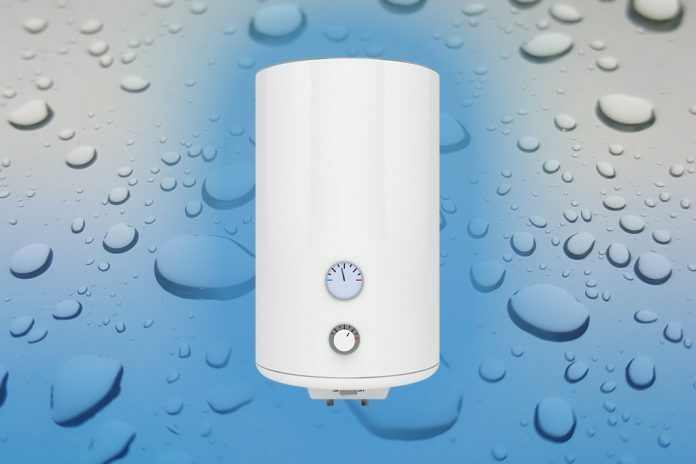 The tall design of this water heater is designed to be used in crowded garages or utility rooms. Choose this water heater for an affordable option for a large home. For a house of two, consider the A. O. Smith 38-gallon water heater. 4500 watts provide plenty of hot water for two or three people. The recovery rate is 20.7 gallons per hour, which will keep a few appliances running comfortably. 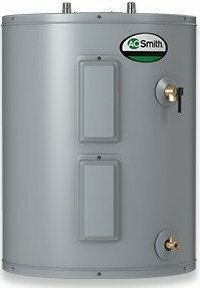 Just like the A. O. Smith Signature Select water heater, this 38-gallon water heater isn’t designed for heavy use with a large family. However, it’s very affordable and practical and comes with a six-year warranty. 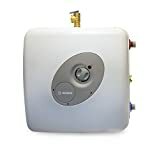 Customers love the compact size of this water heater and how quickly it heats up for initial use. One of the most expensive water heaters uses a unique non-metallic water tank to provide a long-lasting design. For maximum peace of mind, this 50-gallon water tank comes with a lifetime warranty and a 57-gallon delivery rate in the first hour. 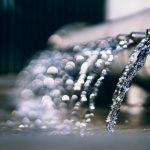 The Marathon 50-gallon tank is more expensive than the A. O. Smith 50-gallon and Westinghouse 52-gallon water heaters, but it is specifically designed for individuals with hard water. 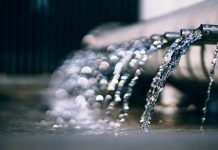 The plastic water tank resists the damaging corrosion of hard water, so you’ll have consistent hot water for a lifetime. Customers love the efficiency and long life of this premium water heater. However, some customers had issues with the build quality of their water heater. A mid-range tank for an excellent price. This water heater uses 4500 watts to provide 53 gallons in the first hour. It’s perfect for a small family of two to four people. Consider this water heater if you want a great deal on a mid-range water heater. It isn’t as efficient as 50-gallon tanks, but this water heater is more effective than the A. O. Smith 38-gallon tank. Like many water heaters, this model comes with a six-year warranty and a one-year warranty on installation. 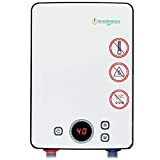 Customers love how simple and effective this water heater is, and few customers have had issues with the installation and use of this water heater. The most premium water heater combines energy efficiency with an ample supply of hot water. The hybrid feature makes this water heater perform four times more effectively than standard electric water heaters. Combined with a 10-year warranty, this water heater will save you plenty of money throughout its lifetime. The Rheem Performance Platinum water heater has the highest first hour rate on the list, at 67 gallons. It can support up to four back-to-back showers and comes with a whole host of features, including Wi-Fi connectivity. With the smart function, you can wirelessly monitor the temperature and use energy saving features easily. However, it’s far more expensive than most water heaters, so it isn’t cost seffective for a small household. Whether you are using a single faucet or multiple bathrooms, there are a range of electric water heaters on the market. The overwhelming amount of choices can make it very difficult to choose the best electric water heater, so use this list to find the top rated models on the market. You’ll be enjoying instant hot water in no time with these highly rated water heaters.